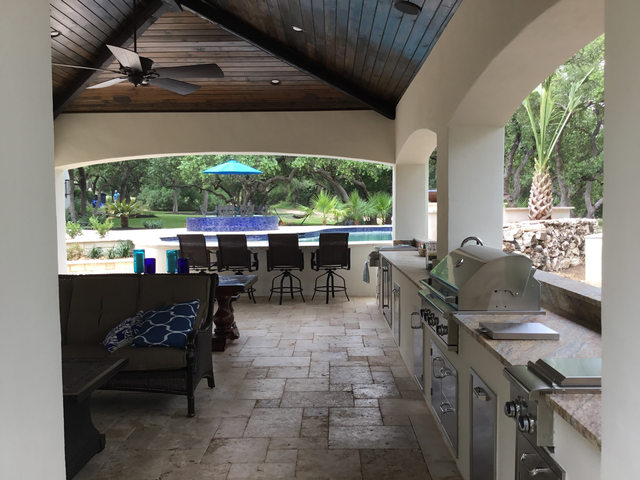 At WestView Pools, we understand that more and more people are looking to their own homes and backyards as an escape from a hectic world; to have their own creatively designed, customized, and accessible retreat. A pool cabana can be an excellent investment to help achieve the “backyard living room” look and feel. Cabanas are the perfect backyard entertainment center, offering a discreet place to change, use the restroom or relax out of the sun. A kitchen and bar are many times added to the design to create the perfect place to entertain family and friends.